JNU 2019 Application Form has been extended till 18th April 2019. 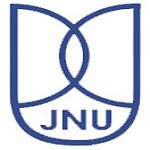 JNUEE (Jawaharlal Nehru University Entrance Exam) is a university level entrance test which will be conducted by NTA from 2019. It is organized to select students for admission in various UG, PG and doctoral courses offered by the university. JNU offers admission in the engineering, science, law, humanities & other courses. It also organizes CEEB (Combined Entrance Examination for Biotechnology Programmes) examination. Here we are providing details about JNU 2019 Application Form. JNU 2019 Application form has been extended till 18th April 2019.Click here to apply. The application form has been issued from 15th March 2019. Candidates can opt for maximum three fields of study in the same application form. Candidates will be required to upload the images of photograph and signature. The dimension of images should be 150px width to 200px height (for photograph) and 60px width to 40px height (for signature). The university will also provide the JNU application correction facility from 22nd – 28th April 2019.
Corrections will be allowed only in particular fields of the application. Candidates can pay the application fee through net banking or debit/credit card. GST will also be added in the application fee. Certificate of Alimiah with minimum 45% marks and passed English Language subject at 12th level or a 3-years course conducted by Darul-Uloom Deoband. M.Tech Master degree in CS, Mathematics, Statistics or Operational Research or in any branch of science. Must have obtained minimum 55% marks. Fill your registration details such as Candidate’s Name, Course of Study, Email, Mobile Number, Nationality, DOB, password, etc. Once the fee payment is successful, take printout of the confirmation page. For any other queries about JNU 2019 Application Form, you may leave your queries below. When will be application form 2019-20 will release? Notice is showing that online application will start from September, but forms are not released yet. Please provide proper information of online status. When will the form be released for mac? When will be released jnu application foam for msc biotechnology.. When the forms will be releasing for jnu ceeb entrance exam ? Sir,Where is the foreign language online application from please help me. hello, we are unable to locate the form, when they will be come? I am unable to find any link for the application form so can anyone send me the link for the application. Its a request please as the dates for the form fill up is going to end soon. First week of Oct is about to finish ..but the online application form is not released yet….. When we will get it. October is here yet no sign of application form. I want to apply for M.Sc microbiology . I want to fill up the form but i don’t see it on the screen. Tell the website. Jnu application form for 2019 admission are released or if not then when it will be? Hello Sir,I’m going to apply for BA(Hons. )but the thing is I didn’t had my board exam of 12th right now,it will be held in the month of March so what should I do about that criteria? I cannot see any apply button on the website.How to app ly for B.A Hons. Application has not been announced yet. hello. I am unable to get the admission form.It will be kind of you if you provide me the link. Pol sci ke liye arts se apply hoga ki social science se…plz sir ku6btye??? Sir,Mujhe ye btaye ki Pol sci se graduation krne k liye social science se apply krna prega ya arts ….??? मेरी शैक्षिक योग्यता M Sc. Maths है जेएनयू में कौन-कौन से कोर्स में प्रवेश के लिए आवेदन कर सकता हूं?? Can’t find the link to apply for MA. What % marks needed for fillup application form of MA in economics for OBC category? When is the application form for JNU 2019 entrance exam releasing? Yes,you are eligible for applying even if you are in final year (Bachelor degree) for M.A entrance exam. Is there any diploma programme for Japanese language? Application form is not displaying!so from when it will start?? Application dates have not been announced yet. M.A economics me kr skti hu??? B.Sc. hons ka entrance form kab se fill up hoga. application form process will start from when?? Sir, I am in b.A.final year. What is the syallbus and exam pattern for M.A in english literature and linguistic ? What is the entrance syllabus for MCA. What is the syllabus for msc. Entrace exam ?